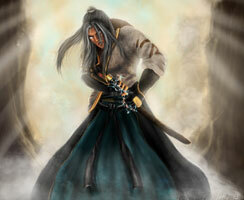 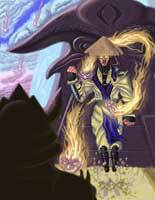 This is the Thunder God Raiden from the first Mortal Kombat, standing in Shang Tsung’s Throne Room stage. 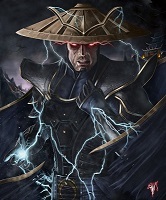 He is the protector of the Earthrealm at the time of the first Mortal Kombat game and was introduced as one of the most powerful characters in the series from the start with him being surrounded by thunder-bolts, be able to teleport himself and being able to fly and use that ability against his enemies. 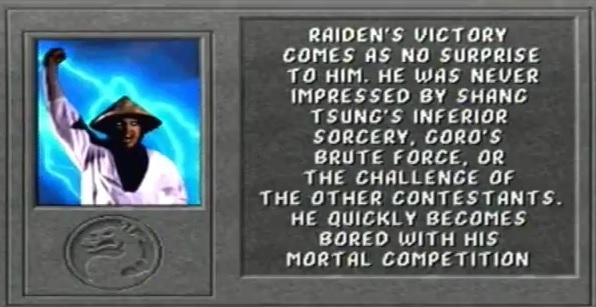 He is the only Mortal Kombat character who was playable in every MK game so far, the only exception was the initial release of Mortal Kombat 3. 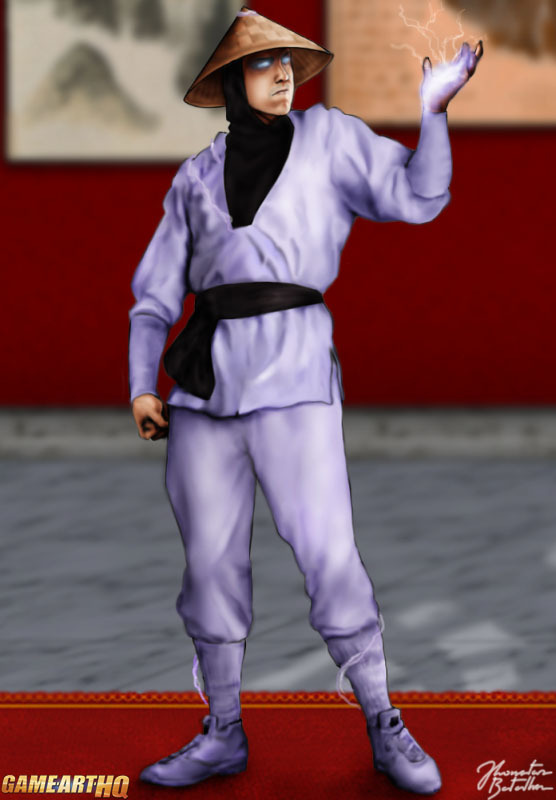 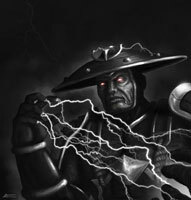 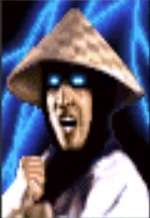 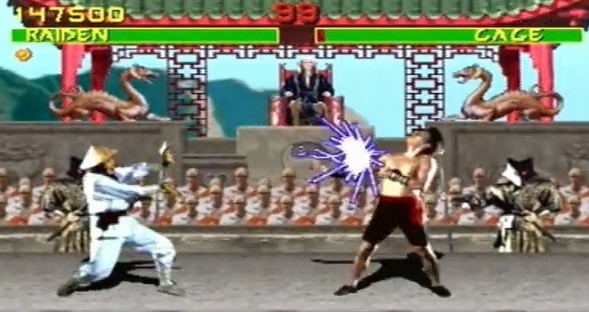 His Mortal Kombat One design was pretty basic and would be replaced with more colorful and detailed ones in the later parts of the series, it was significantly based on the Japanese Raijin Thunder-God and probably the “Big Trouble in Little China” Movie where one of the characters wears a similar hat and can use thunder magic. 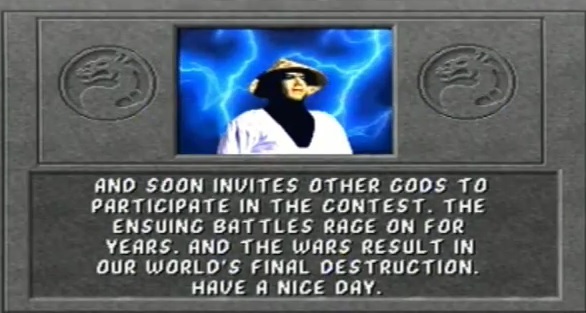 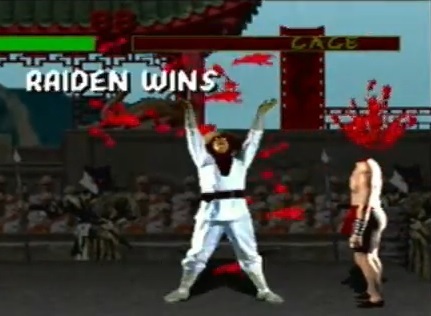 His Story and Ending was changed a lot from Mortal Kombat II on forward, have a look and laugh at his original Mortal Kombat Arcade ending below!